This incredible styled shoot at Vibiana showcased modern details paired with beautiful greenery and amazing rentals from some of Southern California's most talented vendors. 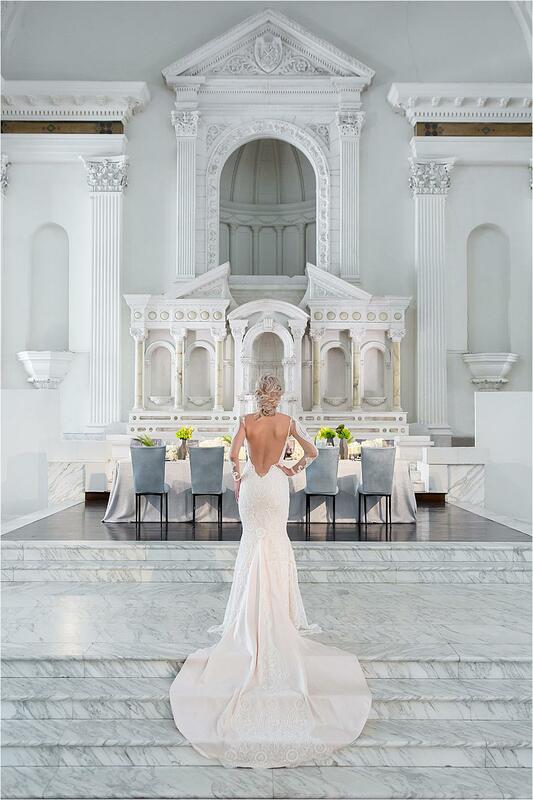 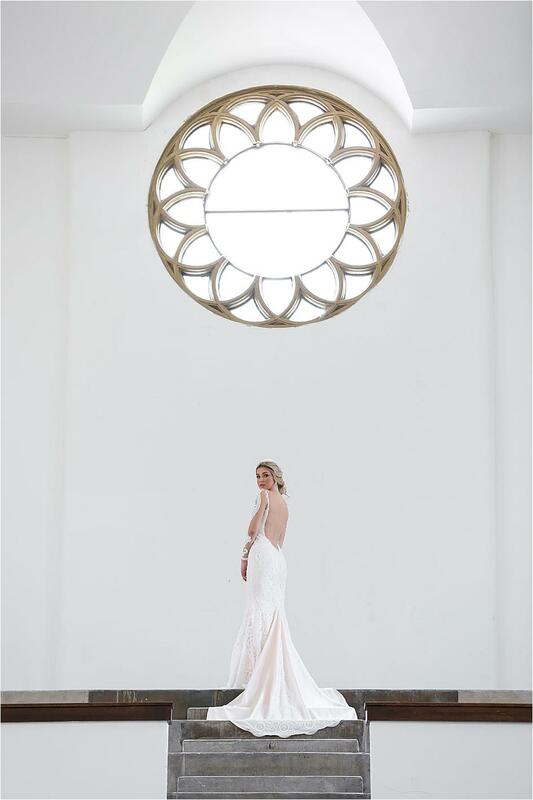 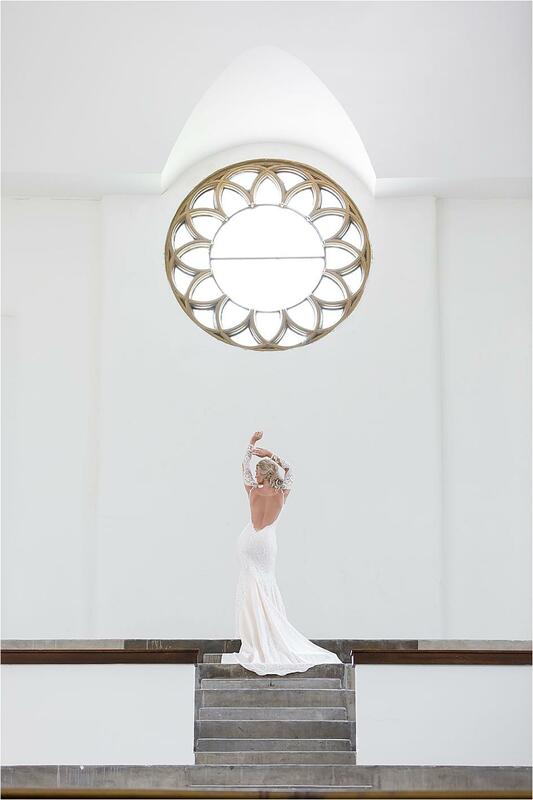 The bride wore a stunning gown from Naama & Anat Haute Couture with gorgeous lace detailing, and unique black and white flatware popped against the sleek architecture of the venue. 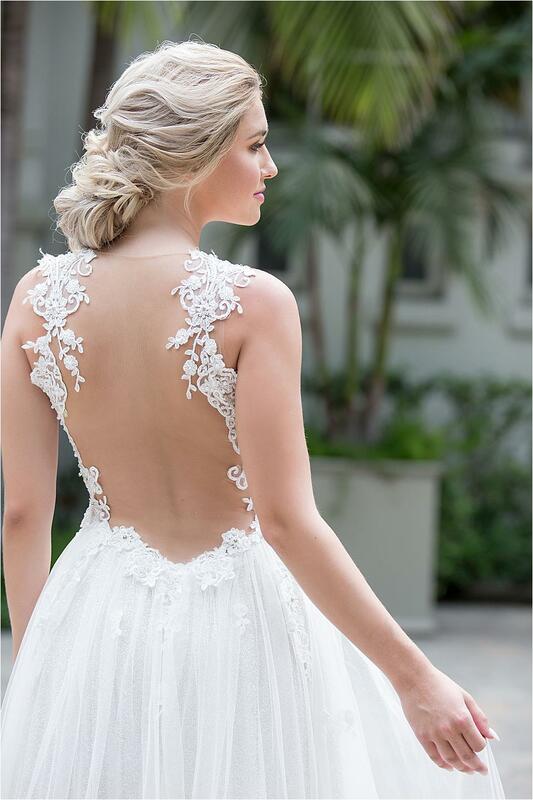 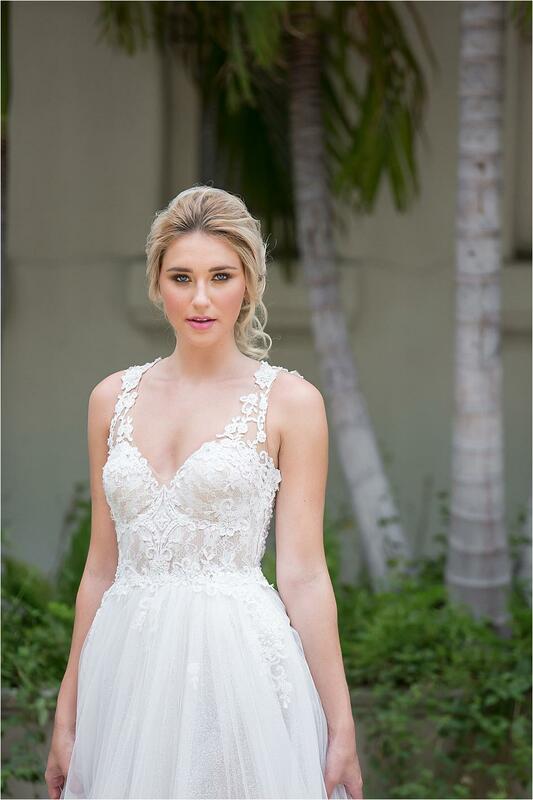 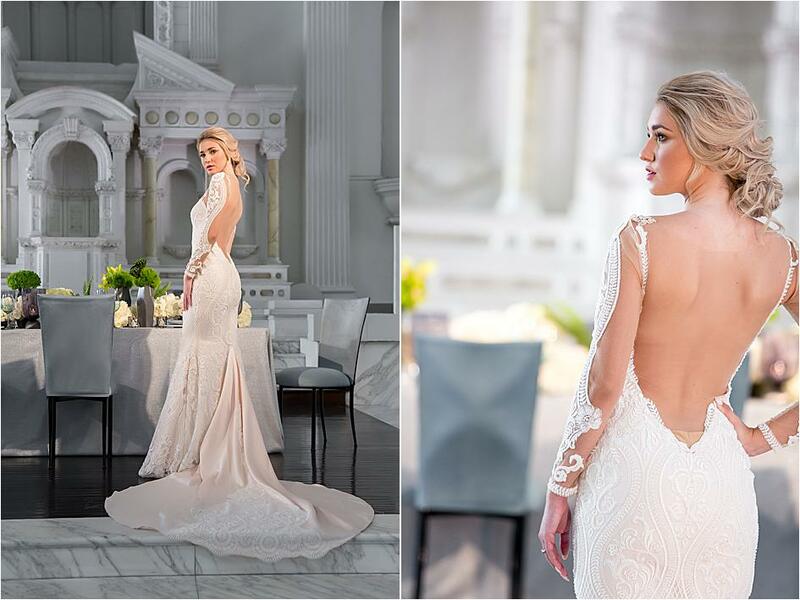 Hear from a few of the vendors and see more gorgeous photos from Maya Myers below. 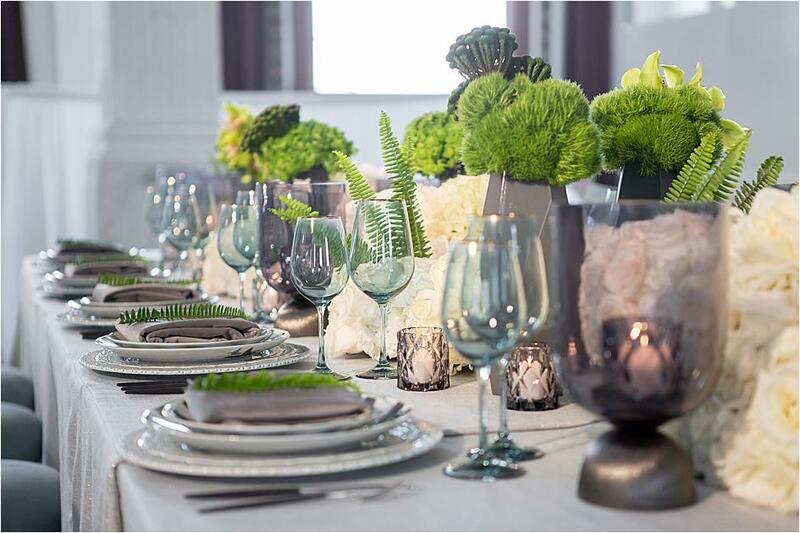 "We loved being a part of this styled shoot! 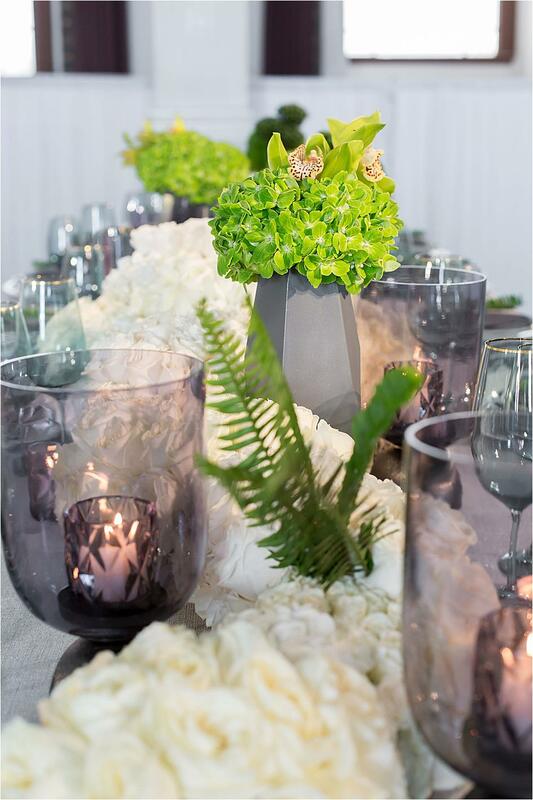 The colors were crisp and refreshing and the talented vendors tied it all together. 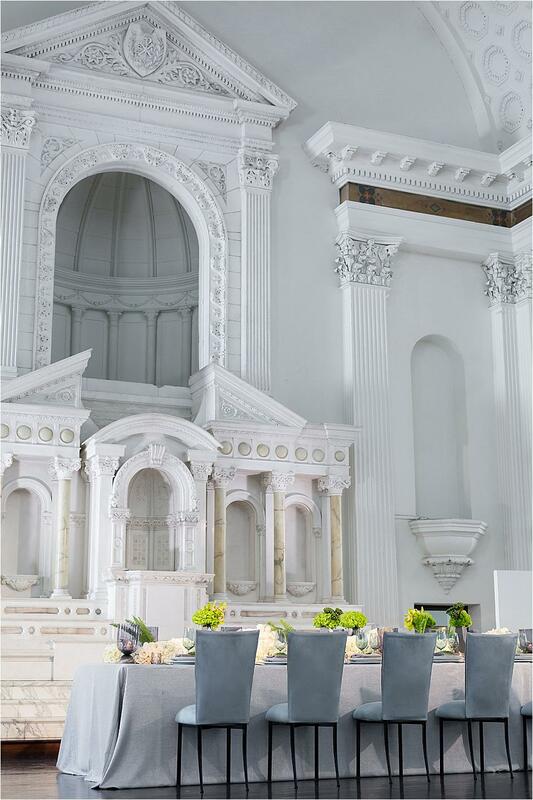 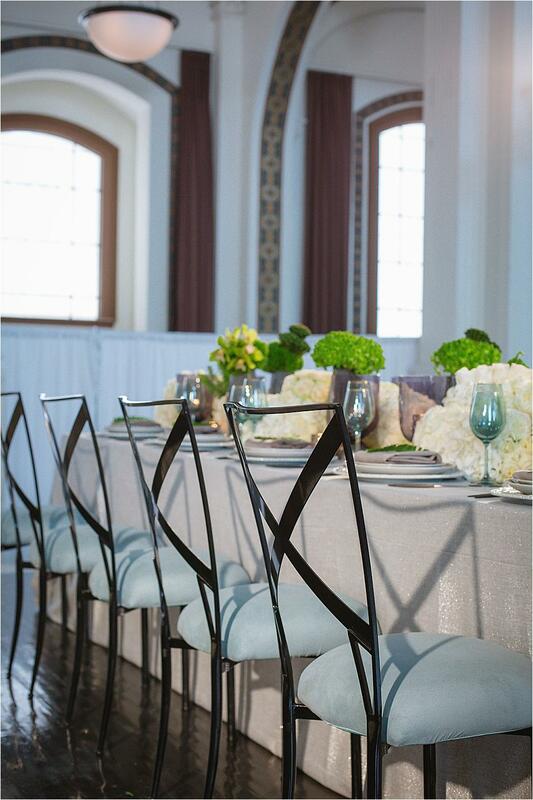 We were excited to contribute the Ice Blue Suede Chair, which added a refreshing dash of color, as well as the Simply X black chairs, which brought some beautiful leading lines at the tablescape." 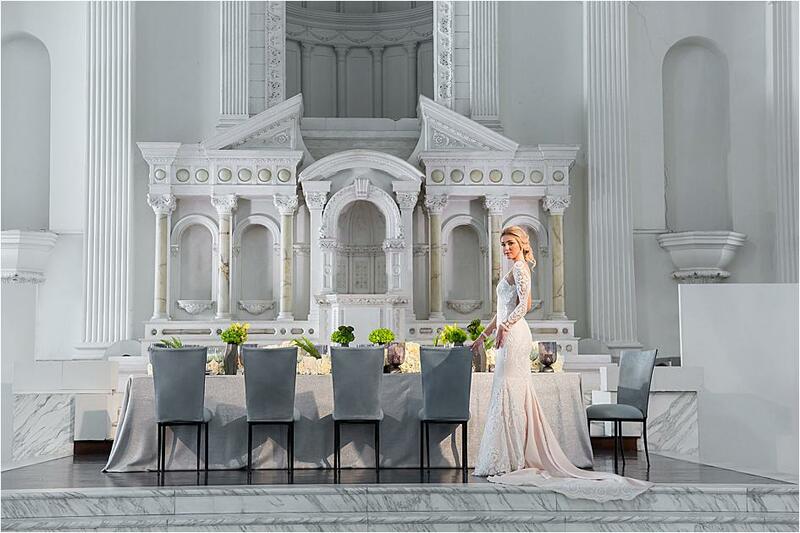 "We were thrilled to design this styled shoot at such a beautiful venue as Vibiana. 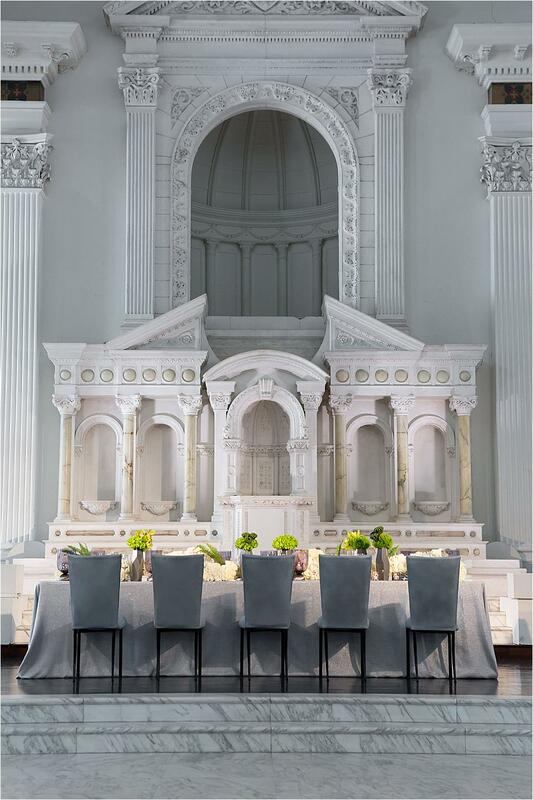 Together with the team of talented vendors, we created a modern and fresh look to contrast the Historical setting. 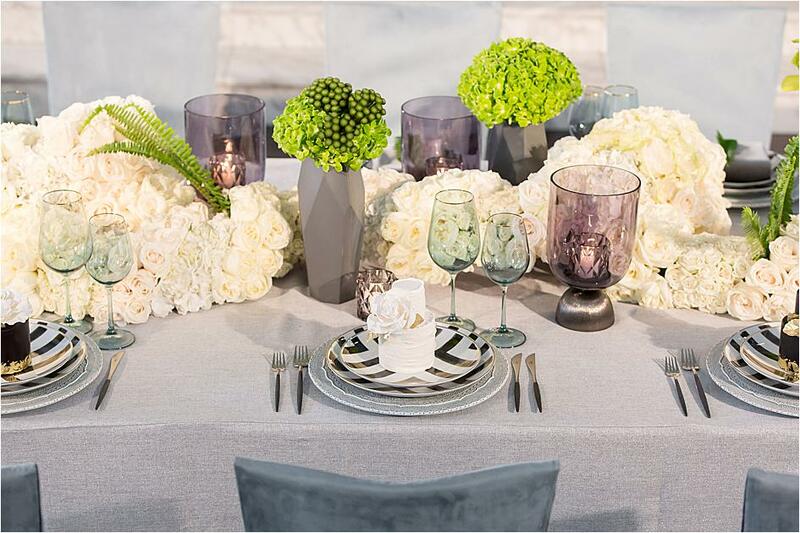 The Christian Lacroix china from Casa de Perrin popped on Luxe Linen’s tablecloth, complemented by the blue suede chairs from Chameleon Chairs. 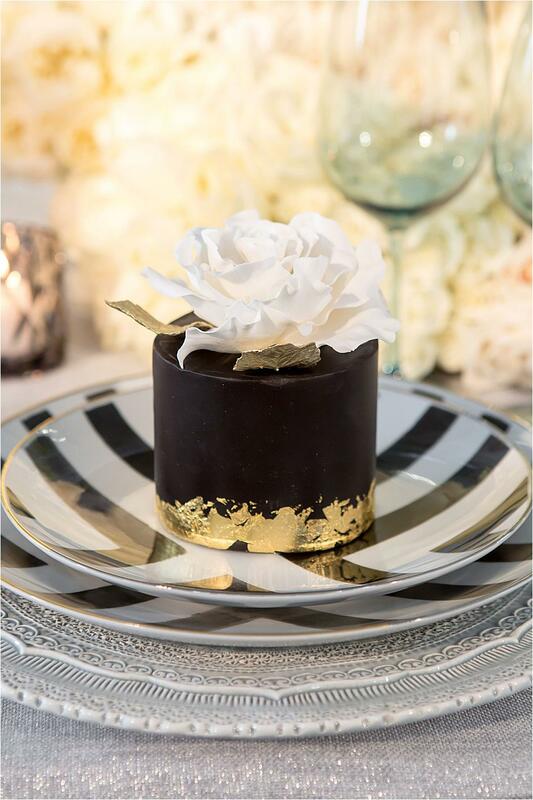 White florals from Mark’s Garden softened the design, and the mini cakes from The Butter End were almost too beautiful to eat." 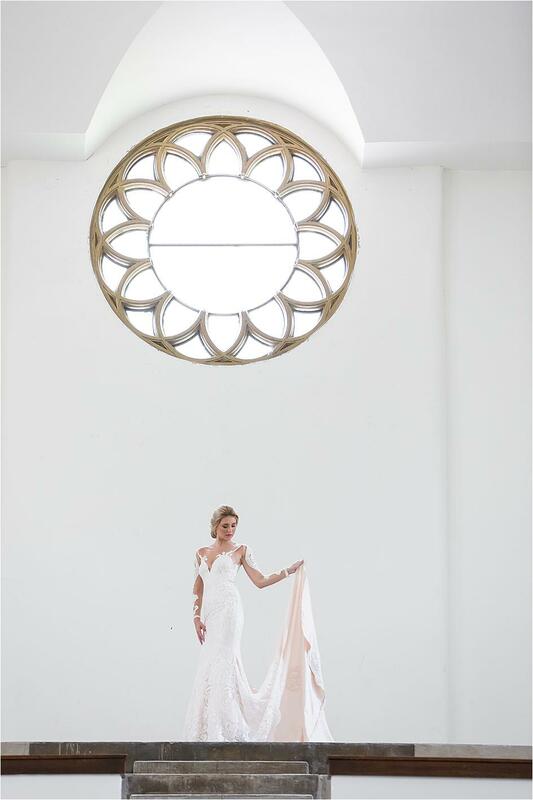 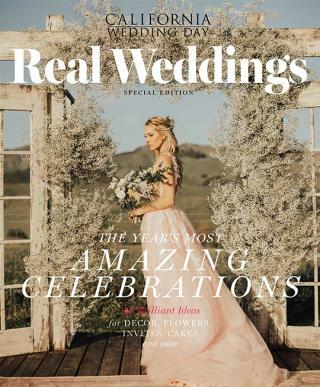 "It was great being a part of our styled shoot with such an amazing creative team! 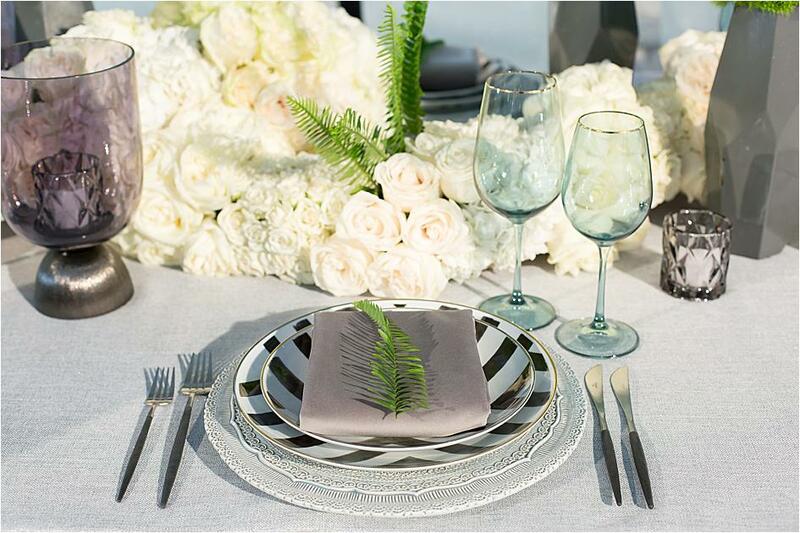 It featured a neutral grey tone table setting that was highlighted by a floral table runner from Mark's Garden. 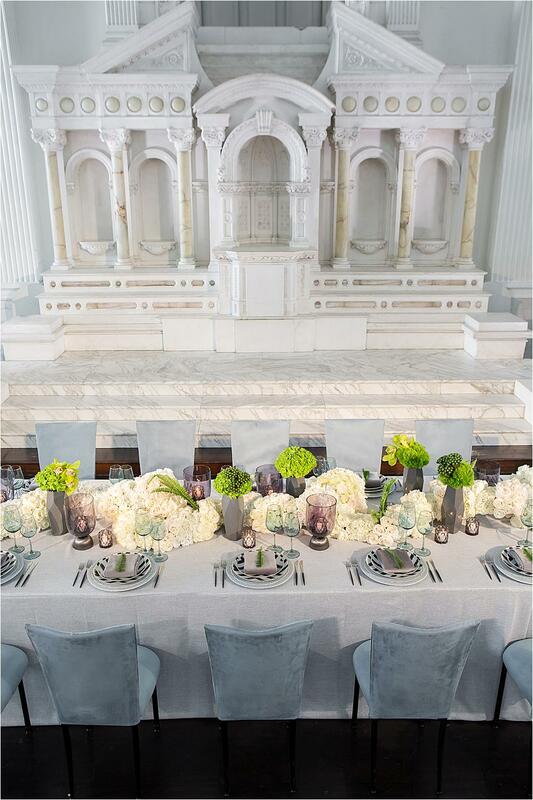 Our new Platinum French Velvet completed the table setting and balanced well with Chameleon's suede chairs." 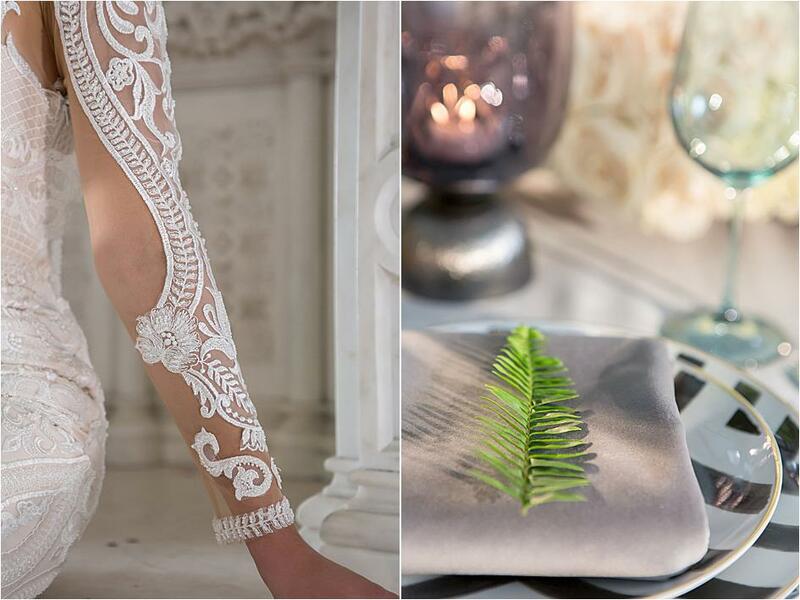 There's no reason why your summer wedding can't include hints of that to die for autumn burgundy.